Days ago, the Xiaomi partner brand Huami Amazfit presented two new products at a conference in China. One of them is the new generation of the Amazfit watch called Verge. Two months ago, Huami took over Zepp, one of the leading manufacturers of sports gadgets that monitor activity through proprietary sensors. Thanks to this, the new Amazfit watch has developed mainly in the activity monitoring section. One of the new technologies is the detection of cardiac arrhythmias and atrial fibrillation. Thanks to the Zepp technology, heart rate monitoring has been improved. Active for 24 hours per day will not significantly affect the battery drain as it was in the front models. 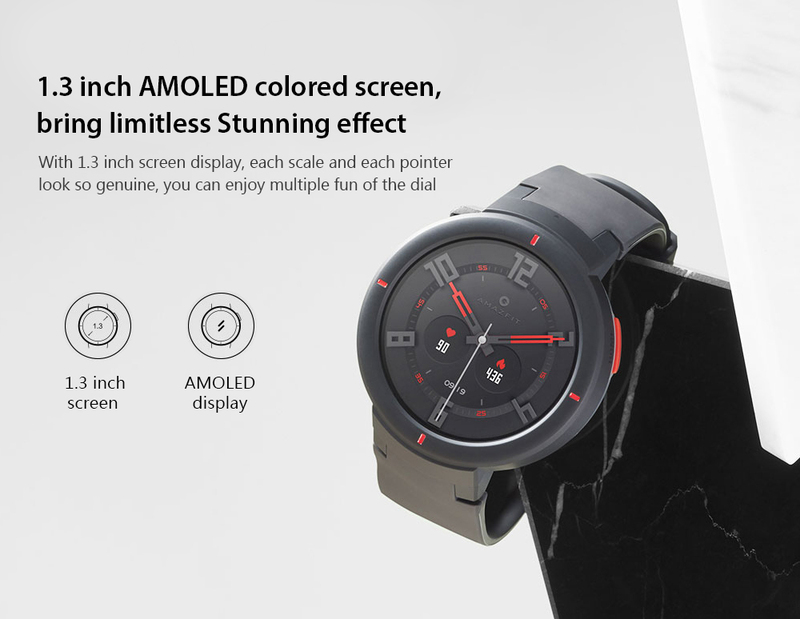 The AMAZFIT smartwatch is equipped with a 1.3-inch high-definition AMOLED screen with a resolution of 360×360, which can help users to filter the app information such as WeChat, and receive and view in time. The screen is protected by a Gorilla Glass 3 rounded glass. 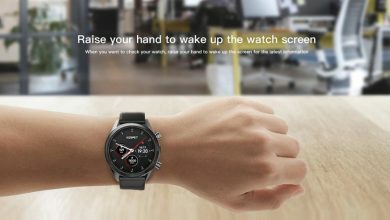 At the same time, the AMAZFIT smartwatch has built-in 13 dials, including three dials designed in collaboration with Territory studio based in San Francisco. The later supports user-made dials. Thanks to the multi-function NFC, the AMAZFIT smartwatch supports traffic card function in 165 cities in China, covering more than 20,000 public transport routes. In addition, the watch supports the access card simulation function, and it supports NFC UnionPay card starting from November. 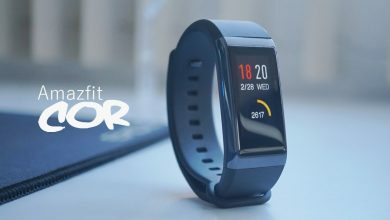 The AMAZFIT smartwatch adopts the Cleaning wristband manufacturing process, which takes 3 years and millions of research and development investment. It adopts a silica gel molecular phase control technology, which is soft and dry and resistant to dirt. It solves the problem of the ordinary watchbands. The envelope is made of plastic and has a diameter of 43 mm, the thickness is 12,6mm. It has IP68 certification. 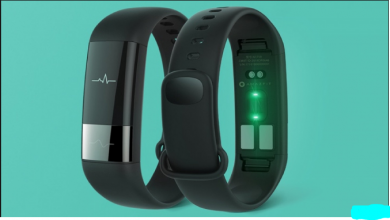 The watch allows you to monitor 11 various physical activities, such as walking, running, tennis, skiing or football. The new generation has also been equipped with a GPS, therefore, it will record the distance traveled. The watch has a built-in microphone that allows you to control the home automation in the Mi Home application, unfortunately only in Chinese. Communication with other devices is done via WiFi and Bluetooth. Read also: Xiaomi Mi Band 3 ($24.59) Vs Mi Band 2 ($20.99): Should You Buy The New Fitness Tracker? What’s more important, the AMAZFIT smartwatch supports Xiao Ai voice assistant. At the same time, it cooperates with Mijia. So you can control smart home appliances through this watch. It can be done for 11 types of smart home products such as open sweeping robots, switch lights, and so on. 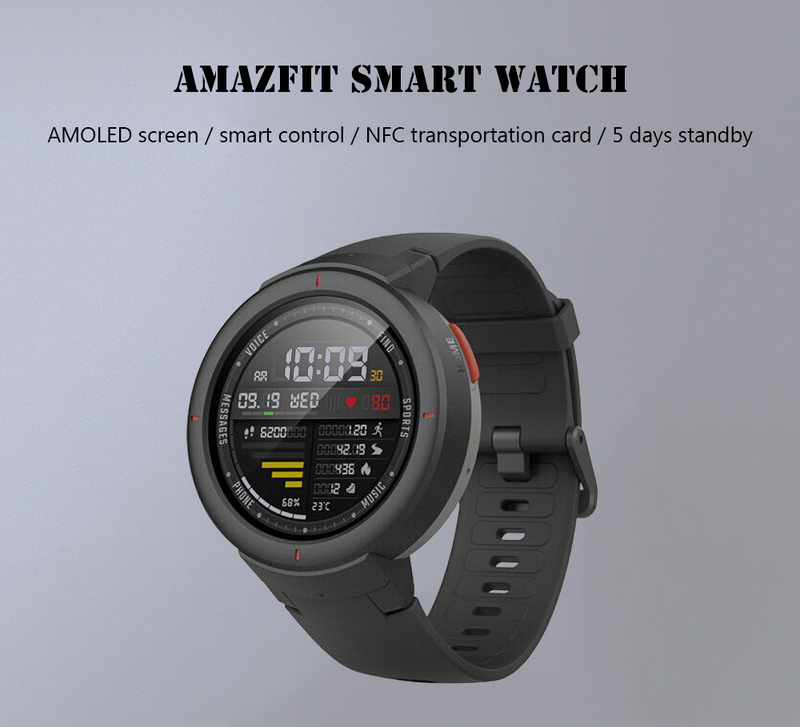 The new Amazfit has batteries with a capacity of 390 mAh, the declared working time is 5 days. Longer battery life compared to the previous model is possible thanks to the less-powerful heart rate sensor we mentioned at the beginning.